On 3 December 2018, the Bolton Branch marked a first for the HA by live-streaming a lecture on Twitter. Professor Anindita Ghosh of the University of Manchester spoke to the branch on Calcutta in the 19th century. The event was streamed live on the branch’s Twitter feed, @boltonhistory. 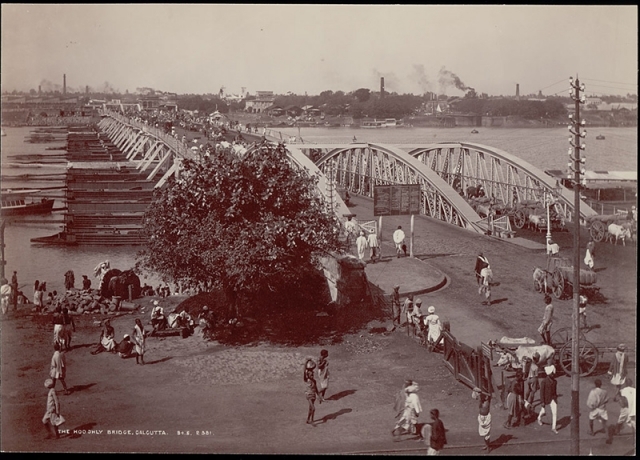 Calcutta in the late 19th century was a melting pot of migrant workers, artisans, servants, boatmen, labourers, petty traders and shopkeepers and an army of clerks, apart from the educated Bengali classes who served in the various colonial and mercantile establishments in the city. As the administrative and commercial capital of British India, Calcutta was the quintessential harbinger of modernity in the subcontinent. And yet we know rather little of the responses of its inhabitants to these tumultuous developments. Professor Ghosh’s lecture investigates urban experiences in the colonial metropolis as articulated in its street song cultures, newspapers, memoirs and images. It looks at how print and performance in Calcutta in the late 19th century animated the urban domain with widely shared discourses on the city – on material changes, shifting conceptions of space and technology – validating the experience of a recently urbanised world. The Bolton Branch is one of the HA's network of local branches across the UK bringing together people who share an interest in and love for the past. The Bolton Branch holds monthly lectures between September and March from local and national speakers of the highest quality. See the latest Bolton Branch programme here. Contact: Dr Jenni Hyde, Bolton Branch Secretary: 01772 930330 | boltonhistory@aol.com.